What Are the Different Types of CCTV Camera? 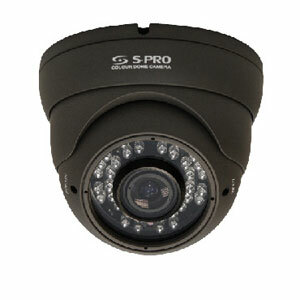 When it comes to securing your business, there are many different types of CCTV to choose from. Surveillance plays a huge part in today’s society, and with cameras all around us, our day-to-day lives are experiencing higher levels of security each day. What many people don’t know, however, is that there are a variety of different types of CCTV camera which suit different situations or premises, and that selecting the proper camera for the right application really is vital. CCTV plays a huge part in today’s society, and with cameras all around us, our day-to-day lives are experiencing higher levels of security each day. What many people don’t know, however, is that there are a variety of different types of CCTV camera which suit different situations or premises, and that selecting the proper camera for the right application really is vital. Here, we run through these types of camera and what makes them unique and more suitable for some venues over others. These cameras can pick up coloured images in very low-light conditions. Dark fighter technology can be used in the day and night and offer optimal performance thanks to its wide range of capabilities. 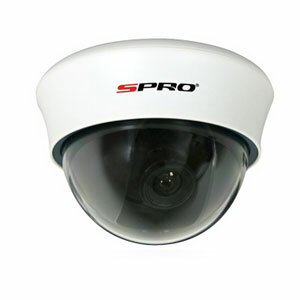 They are equipped with ½” CMOS progressive scan sensors which allows the device to pick up high-quality images and doesn’t require an extra light source – which makes the perfect night time security surveillance camera. ANPR and LPR cameras are used to read and store data on registration plates. They offer a simple and efficient solution to many organisations including tolling, hotel overstay management and the obvious: car parking. ANRP stands for Automatic Number Plate Recognition (LPR cameras stands for License plate cameras) and these devices help to obtain copious information in a high traffic area to keep any premises secure. 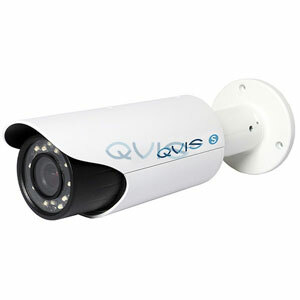 Bullet cameras are long and cylindrical in shape and are ideal for outdoor use. Their strengths lie specifically in applications which require long distance viewing. Installed within protective casings, the cameras are shielded against dust, dirt and other natural elements. 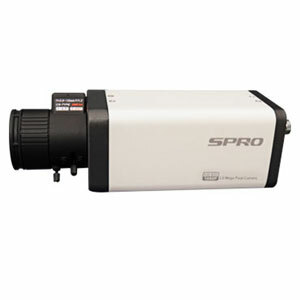 The cameras can easily be mounted with a mounting bracket, and come fitted with either fixed or varifocal lenses depending on the requirements of its intended application. Coming with detachable lenses, C-mount cameras allow for simple lens changes to fit different applications. 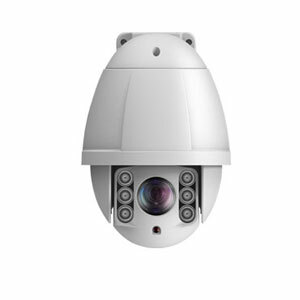 C-mount cameras can cover distances beyond 40 ft thanks to the possibility to use special lenses with these cameras, whereas standard CCTV lenses can only cover distances of 35-40 ft. Capable of operating in both normal and poorly lit environments, these cameras benefit from not requiring inbuilt infrared illuminators as they can capture clear video images in the dark thanks to their extra sensitive imaging chips. 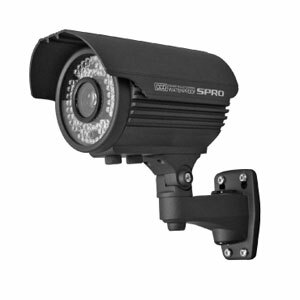 For this reason, these cameras are ideal for outdoor surveillance applications in which IR cameras are unable to function optimally. Record in both colour and black & white. PTZ – Pan/tilt/zoom – cameras allow the camera to be moved left or right (panning), up and down (tilting) and even allow the lens to be zoomed closer or farther. 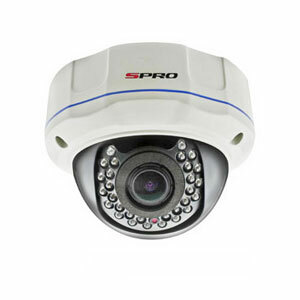 These cameras are used in situations where a live guard or surveillance specialist is there operating the security systems. These types of cameras allow for discreet placement which means you can capture good footage of theft and criminal damage. 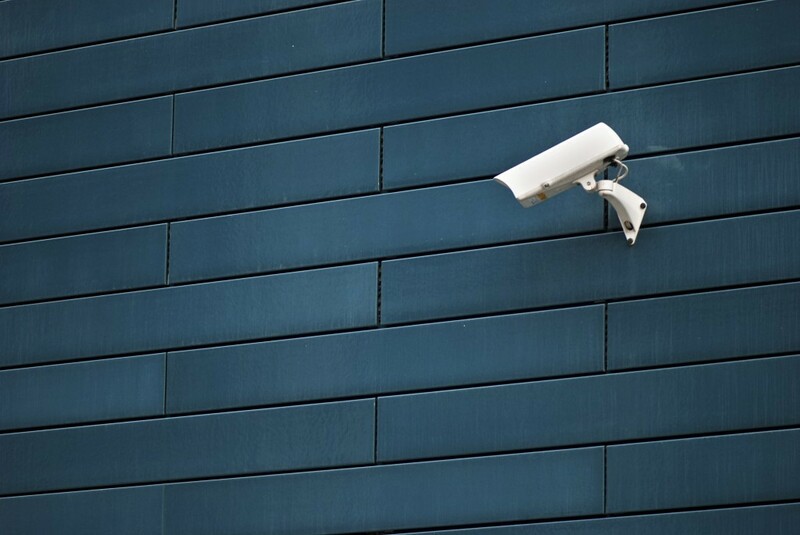 Discreet CCTV cameras beneficial because criminals will be less likely to spot them and therefore, they are less likely to be damaged in the process. One of the best 24 hour surveillance cameras around providing airports, seaports, boards and many other critical infrastructures with quality images, no matter what time of day it is. Infrared cameras have small LEDs surrounding the lens to help pick up moving figures in pitch black. Thermal image cameras can see over long distances, up to 300 metres away! With the ability to zoom in and out without forfeiting its focus. Varifocal cameras allow you to adjust the focal length, the angle and increase or decrease the zoom – ideal for obtaining footage in a square room where you would normally experience a ‘dead zone’ with any alternative, fixed lense camera. These cameras share the images across the internet, so CCTV footage can be easily accessed. Network cameras are ideal for both domestic and commercial purposes because you can see what’s going on whilst away from the property. High definition cameras have such a high resolution that they’re mainly used in high risk establishments such as banks and casinos. This is to capture a good image of anyone who enters and exits to maintain high security and maximum safety. 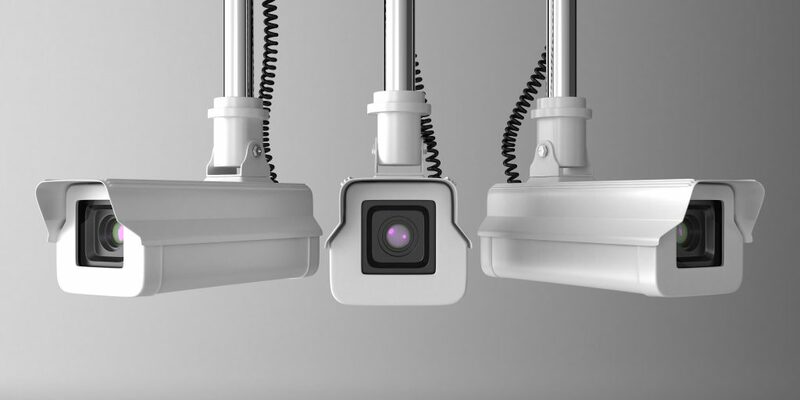 These cameras are great for spotting misconduct and allows the user to zoom in for extra clarity, should the footage need to be used in court. What Type of CCTV Camera Should I Buy? It’s extremely important to ensure that you have chosen the right CCTV camera, because depending on where they’re positioned and their primary use, you will need to find one that best accommodates your needs. Whether you’re looking to install a CCTV camera outside a property to catch criminal activity, or have placed one inside to monitor the home or a company’s goods, there’s something for everyone. This will ensure that you receive a quality image. Choosing the right lens will allow your camera to focus and will bring enough light to the sensor on the camera, helping you to read registration plates and recognise faces etc. Having more detail will, of course, help in all situations, because it means that you will be able to see exactly what’s happening and get a clear record on film. A zoom lense can provide customers with more information because optical zoom can adjust the light as it reaches the sensor, enabling flexibility and enhanced pictures. CCD are more expensive than CMOS and they produce a clearer image, ideal for identifying faces and registration plates. The more pixels, the better the picture. The highest resolution you can get is 700TVL but many mainstream cameras range between 300-550TVL. It’s important to match a resolution that your camera can produce, anything more is completely unnecessary. Should my CCTV cameras be discreet or a visual deterrent? How do I know what to use indoors and outdoors? What are the light conditions like? Box cameras present an obvious sign for anyone who passes by that they are being recorded on CCTV and this can be a great deterrent of theft and crime. Whereas dome cameras are smaller and more discreet. These compact cameras are ideal for monitoring a larger area such as your front or back garden and can follow movement with ease. When thinking where you would like to place your cameras, you might want to think about how they will be mounted and housed, in order to ensure that they’re in the best location and well protected. For example, if your camera is to be placed outside, you will want it to be robust and weather proofed. If it’s to be placed indoors you will want to ensure it will not be affected by grease or steam from a kitchen. Test different camera models to see what works best with the lightning in your area, because no matter whether they’re inside or outside, the lighting will differ throughout the day. You will want to check any reflections and backlighting during the day and night. Depending on how expansive the area is that you want to cover, the resolution of the CCTV camera you choose will need to reflect the landscape in order to provide a clear, useful image. However, if situated in a small room, the camera need not be of a high resolution. Audio isn’t required, however, if you do wish to opt for audio there are systems where you can speak to a person who has broken into the property. Audio can be used to deter criminals by automatically playing something when they get a certain point inside, an ideal way to make them think that there are people inside the building. Here at Caught on Camera, we supply all of these different types of CCTV and more to our customers. For more information or to get your camera today, get in touch with our friendly team and we’ll be more than happy to help.